Martha Salome Lopez de la Fuente works at Universidad de Monterrey, Mexico, as a research professor for the intelligent systems and robotics programs. Her contributions in the research and education areas relate to digital systems design, application specific integrated circuits, embedded systems applications, intelligent systems, and service robots. Since 1994 she has been teaching courses on microprocessors, digital electronics, embedded systems, integrated circuit design, and hardware architectures for service robots. Martha has presented her research work in forums such as Engineering in Medicine and Biology Conference, CERMA Electronics Robotics and Automotive Mechanics Conference, Eurasian Multidisciplinary Forum, and World Forum on Internet of Things. She has also published scientific articles in the IEEE Xplore digital library, the Review of Scientific Instruments journal, and the European Scientific Journal. Integrated circuits have become more complex over time, so very large scale integration require extensive and recursive design and testing techniques. No design can be started from scratch any more; any design is developed from a previous version or using hardware cores developed by someone else. A puzzle-like process is initially done, and software tools do the recursive testing and optimization. Integrated circuit design involves three interrelated parameters: performance, circuit area, and power consumption. Subjects such as layout, pin-out, and power grid are also important. 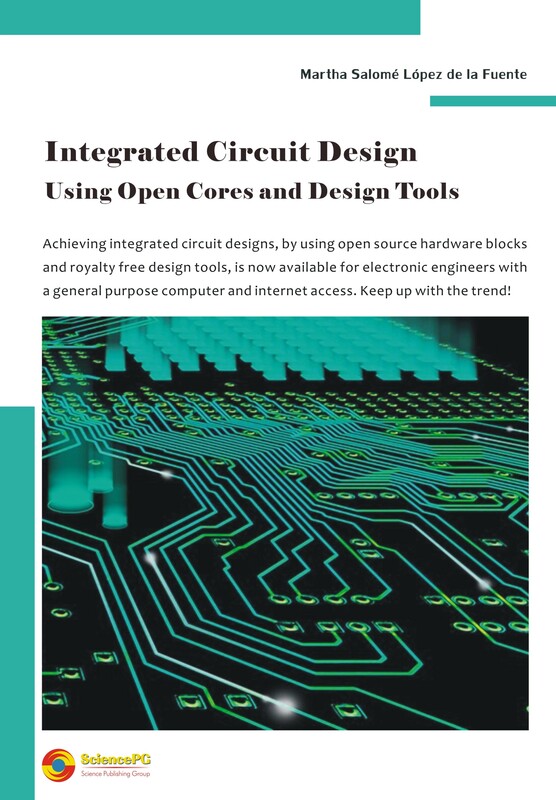 This book presents the design process from the point of view of hardware and software, covering the dependence between the 3 main design parameters as well as the design cores and tools used in the process. It also illustrates the process in detail by presenting an actual development of an application specific integrated circuit, covering the hardware design and documenting a real application program.